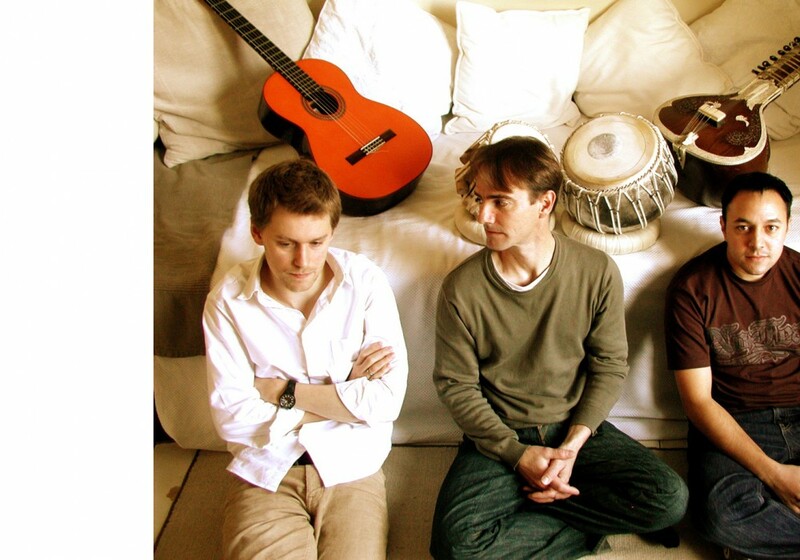 The Teak Project represents a collaboration between three of Britain’s finest young improvisers. These musicians have come together simply to make their own music, unfettered by the strictures of defined categories like ‘jazz’ or ‘Hindustani classical’. In doing so they have drawn from their own wealth of experiences and created a space in which to let their instruments breathe. 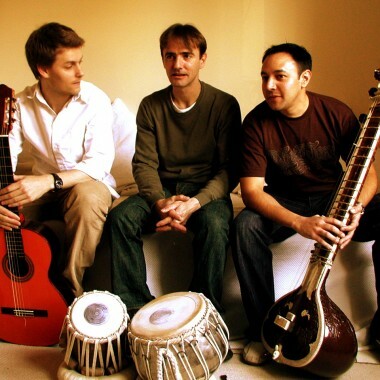 Son of the legendary composer and co-founder of Indo-Jazz Fusions John Mayer, Jonathan started his musical training at an early age and found the instrument that would be his life, the sitar, by the age of 16. He started learning from Clem Alford (the first ever European sitar player) and later from Subroto Roy Chowdhury of Senia Gharana and Wajahat Khan (direct descendant of Mia Tansen the Great Musician, one of the nine jewels in the Moghul Court of Emperor Akbar). 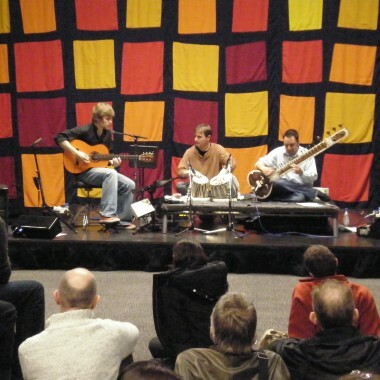 Jonathan gained a B.Mus (Hons) from the Birmingham Conservatoire where he studied both sitar and composition. He has played with artists such as Dave Stewart, The Smith String Quartet, The Bingham String Quartet, Kumar Bose, Shiv Shankar Ray, Ashok Dutta, Erich Gruenburg, Rohan De Sarem, The Dub Pistols, John Wilson, Sarah Brightman, I Musici Fiamminghi Orchestra, and Sir Paul McCartney. His solo album was released by Cooking Vinyl Records. Jonathan’s compositions have been performed by Erich Gruenburg, Joji Hattori, Indo-Jazz Fusions and for orchestra. He has toured worldwide as a soloist and in various ensembles. “exhilarating solos from Jonathan on Sitar” The Times, UK. 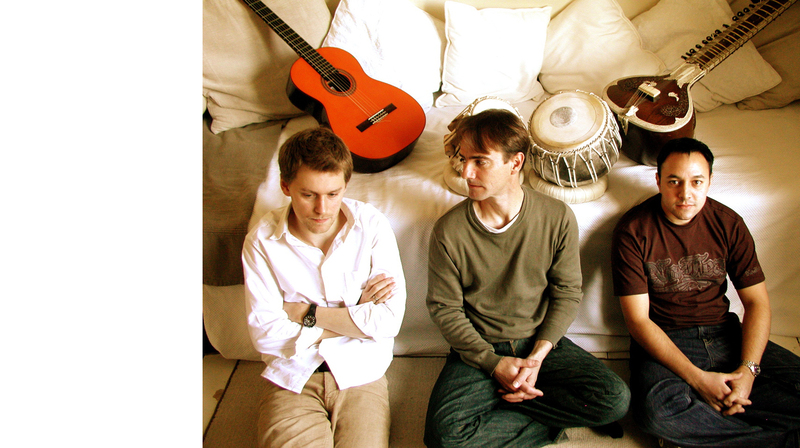 Born 1978 in New York, but largely based in Britain, Justin grew up under the influence of both his parents’ past musical encounters: from his mother’s work with John McLaughlin, to his father’s playing in jazz, commercial, and Indian musical settings. His professional career began in his late teens, sitting in on his father’s gigs in New York and he has been establishing an ever increasing reputation on both sides of the Atlantic ever since working with the likes of Kenny Wollesen, Kermit Driscoll, Martin France, Gerard Presencer, Joe Burgstaller, Hector Martignon, Samuel Torres, Ernesto Simpson, Ludwig Afonso, Jeff Ballard, Curtis Fowlkes, Simon H. Fell, Mark Sanders, Alex Ward and Leafcutter John. His debut album with his own group Bakehouse was named 1 Jazz Album of 2005 by MOJO magazine and described as “Convincingly jagged, serene, tranquil, provocative, reassuring and strangely beautiful all at once”. Justin is also a winner of the 2004 BBC Jazz Award for Innovation alongside fellow members of the F-ire Collective. 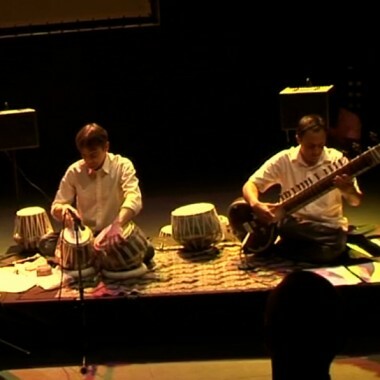 A classically trained percussionist, Neil has performed in many musical contexts throughout his career, including orchestral, avant-garde and traditional Hindustani music. After graduating with a B.Mus from the Western Australian Conservatorium of Music in Perth, his native city, he freelanced with various orchestras and ensembles, touring North and South America, Australia and Southeast Asia. At the age of 24 he was a full time lecturer in music in Malaysia. Trained in Latin percussion (Cuban and Brazilian), Neil went on to study tabla in Benares, India, and later in London under renowned tabla player, Pandit Sharda Sahai. Neil can be heard on The Christian Garrick Quartet’s album FLY 3 and recently toured with the augmented version of this band, the Firewire Ensemble. His third album with Deva is soon to be released following their recent tour of Scotland.